Autumn is really enjoying meal time now as she has to always eat what we are eating. She even enjoyed tacos yesterday for the first time, and after she had finished she had bits of shredded cheese in her hair, taco sauce all over her mouth, etc. Now, why… does my 9 mo. old eat better then my 3 year old? Nathan wants either chicken nuggets or fish nuggets for dinner every night, and with breakfast he is a little more creative in that he’ll eat a wider variety of items. 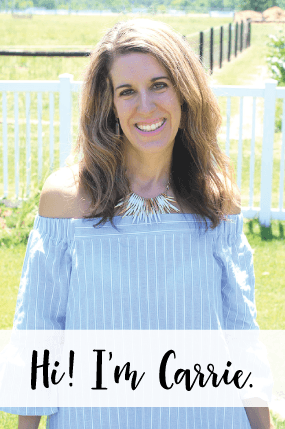 Please, please, please tell me this phase pases… I was just talking to my friend Cami at work today, because we have a play date coming up at the Rocket park and I told her that I had NO idea what I was going to bring for Nathan to eat for our picnic lunch. Of course, she mentioned there is a KFC nearby, so maybe that will work out. Plus, we are sort of thinking the boys are going to be doing more playing then eating anyway. I can’t wait to get together with her because her daughter is a few months older then Autumn, and I am sure they will interact a lot better this time now that they are both a little older. 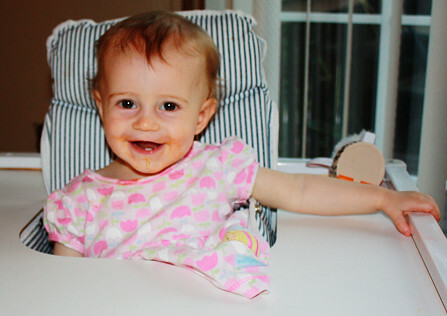 Here she is, sitting in the high chair, happy as a clam after eating a big meal. 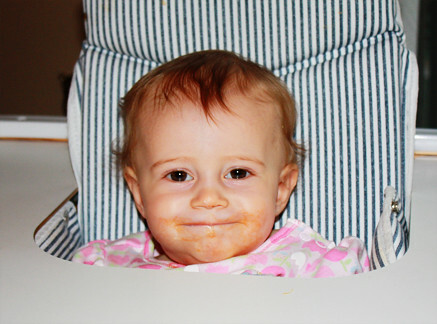 Then, I have been finding her like this, down low in her high chair! At first I thought, wow, is she slipping down because the buckle is loose? Actually, no, she is not slipping down, because she is doing it on purpose! She loves to tuck down low in her chair, then pop back up in it! She does this over and over, it really amuses her… it is so cute!! Gosh, I just love this age!!! We also have a Little Gym dvd that she just LOVES to watch on tv, it has a lot of singing, and she loves to listen to the lady that sings on it. We have Baby Einstein, but she demands the Little Gym dvd over the Baby Einstein dvds. I actually have the only other Little Gym dvd which is about elephants that I got on clearance for 99 cents and I was saving it for her stocking for Christmas, but maybe I should give it to her sooner. Sorry she is so messy, but… again, this girl loves to eat!